Quikrete countertop mix is specifically engineered for making concrete countertops. Quikrete 5000 is a more standard concrete mix that is developed for a variety of applications. The first difference is the price. Quikrete 5000 is about $6 per bag and the countertop mix is around $23 per bag. The countertop mix has additives formulated to make building countertops easier. 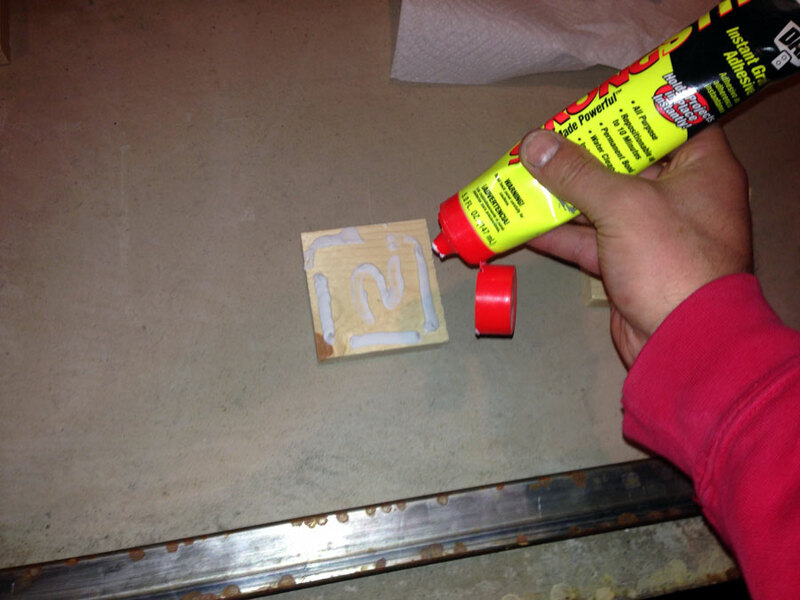 A plasticizer additive allows the concrete to flow into the mold with ease. The plasticizer enables you to use less water while still maintaining a flowable mixture. Less water means you’ll minimize the chance of hairline cracks and other cracks from forming. While you still need to vibrate the concrete to get the air bubbles out, the mixture is designed to help minimize air pockets from forming. The Quikrete countertop mix has much smaller aggregate then the Quikrete 5000. Quikrete 5000 has pea gravel sized aggregate. The largest aggregate in the countertop mix is a little larger then sand. Because the aggregate is much smaller, it will go into intricate areas with ease. You’ll also have an easier time rounding over the beveled edges of a concrete counter because you won’t have rock chip outs since the aggregate is much smaller. 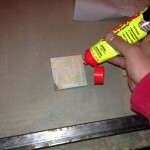 If you are finishing the concrete with an orbital sander, you’ll have an easier time sanding the countertop mix. An orbital sander with standard sanding pads won’t sand through rocks, but it can round over a more sand based mixture. A concrete wet polisher will sand through rocks and give a professional beveled edge with any concrete mixture. Quikrete countertop mix is easier to trowel for beginners because you won’t pull large rocks to the surface. For experienced concrete folks, this won’t be an issue. Conclusion: I would recommend Quikrete countertop mix over Quikrete 5000 for ease of use, especially for beginners. However, if you have some experience you can get great looking countertops using Quikrete 5000. The price difference is quite substantial which is why I like to use Quikrete 5000 to keep costs down. Before building complete countertops, I always recommend practicing by building side tables and coffee tables to learn some of the processes. There is a lot to learn about building countertops, so I don’t recommend it to everyone. But, with some practice and research you will be able to build your own. 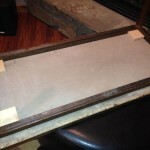 Concrete countertops are fairly similar in weight to granite countertops. At 1 1/2 inches in thickness, a concrete countertop will weigh approximately 15-18 pounds per square foot. At 2 inches in thickness, a concrete countertop will weigh between 20-24 pounds per square foot. To determine the weight of your project you’ll want to calculate the square footage of your project. Take the total square feet and multiply it by the weight. In the following example we’ll say the 1 1/2 inch thick top is 17 pounds per square foot. Put a handful of #000 or #0000 steel wool in a jar and then add white vinegar. You’ll want about one-part vinegar to two-parts steel wool. Let the vinegar dissolve the steel wool for at least a couple of days. With the vinegar solution you definitely want to leave the lid off, as it releases a gas that you’ll want to let escape from the jar. The mixture will get darker the longer you let it sit. Oxidation will occur and the mixture reacts with the tannins in the wood to give it variations in color. It changes Fir wood to dark blues, greys, browns, and black. Pine, however will not darken much at all. You can always dilute your mixture if it is too strong. Simply pour a little of the strong mixture in a new cup and add white vinegar. Here’s an in-depth video explaining the whole process for you. A few good places to check for whiskey barrels are locally on Craigslist, breweries or distilleries, and then at local farm/ranch supply stores. I know that for the midwest, Mernards often carries full size whiskey barrels that you’ll just have to then cut in half (see question above about cutting a barrel in half). In Montana I was able to come by some used barrels on Craigslist as well as the option to buy new at a farm/ranch (Murdochs) supply store. The concrete is heavy and doesn’t move around much, but here is what I’d recommend. Something I like to do is put blocks underneath to prevent the concrete from moving around. I attach the blocks to the bottom of the concrete with construction adhesive (liquid nails). Below are a few pictures showing what we mean. You could silicone the top of the base where it will touch the concrete as well if you’d like.I don’t like to really use bolts in these thinner concrete pieces, although you could always embed a female bolt receptor of some sort into the concrete so the base could be attached that way. You have to be very careful to not over-tighten it. We have a number of resources explaining this process, the best though may be for you to watch this video. Other resources can be found on the Resources Page. If you’re not able to find screws longer than 3 1/2″ or 4″ at your local Home Depot or hardware store, then look to contractor supply stores. Certain lumberyards that also sell tools and bulk hardware, hardware stores selling bolts, nuts, screws, etc. in bulk bins will have them, and potentially even farm and ranch stores! I have gotten this question from a number of people, especially those living in southern U.S. I’d recommend looking around for other contractor stores, hardware stores, and/or farm and ranch supply stores. The torque screws that I use are Big Timber Torx made right here in Montana. I live in Montana where humidity is not an issue at all. My farmhouse dining table never has had any issues in warping, bending, or twisting. If you’re living in Florida, Georgia, or somewhere else with high humidity, know that it is definitely more likely to have movement. There are a few key factors to consider when building to make sure it won’t be an issue for you either! 1) Make sure you purchase dried out wood, either kiln or air dried. 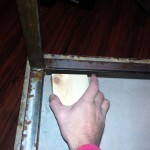 Do not construct the table until you are sure the wood is completely dry. 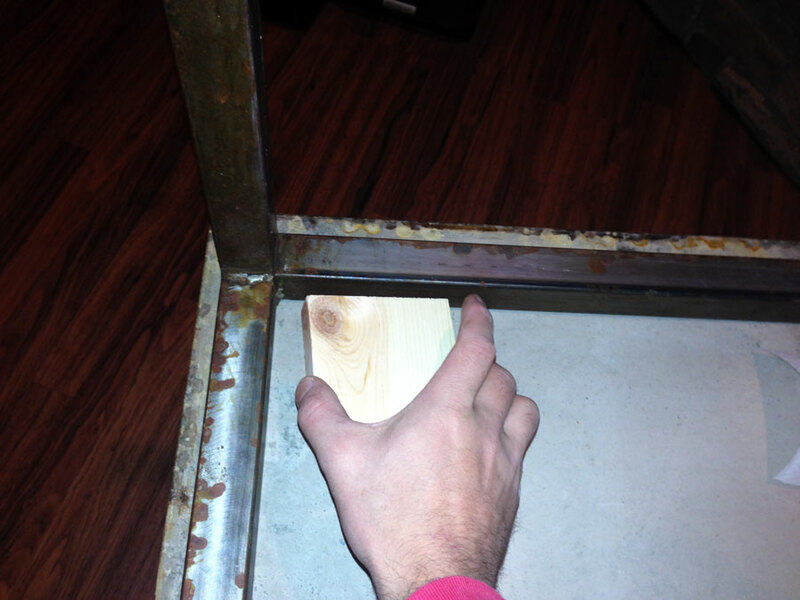 2) Use glue sparingly on your joints to allow the wood to expand and contract. As I make more and more woodworking projects, I’m finding just how amazing the power of a solid wood glue like Gorilla Wood Glue is. 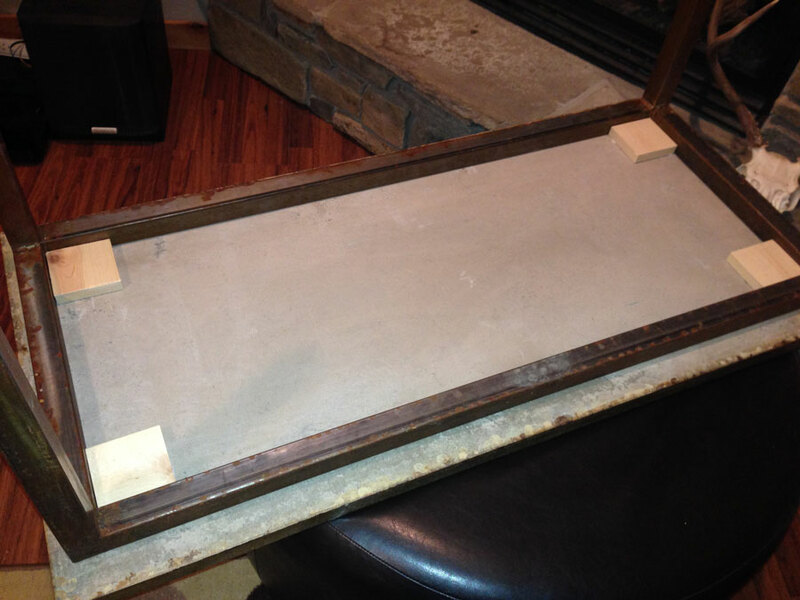 For a project like the Farmhouse Table, though, you’ll want to use glue carefully. You want the wood to be able to naturally move with the seasons. Use glue sparingly! 3) Recognize that if you’re living in a very humid area, it could be a possibility that the wood could shift so do everything in your power to avoid it becoming an issue. 4) The Kreg Jig is a great joinery system that is perfect for the average DIYer. Other types of more advanced joinery like mortise and tenons will reduce the chances of movement even more, yet pocket hole joinery with a Kreg Jig works great! Here is a good reference from Fine Woodworking magazine (click the underlined text) about other, more advanced options for securing tabletops and breadboard ends. We often get questions in comments, email, and messages that a lot of you are asking time and time again. I want to help answer those and have put together this frequently asked questions page for you. If there are any others you'd like to see answered, please comment below.